Installed Long Jump Runway Track for Kolej Tuanku Jaafar in Negeri Sembilan (January 2010). Installed Futsal Fibre Coating System for JKR in Jalan Aquarium, Gelugor, Penang (January 2010). 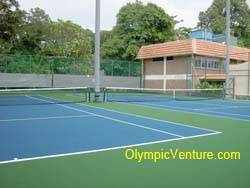 Installed 2 Rubberized Cushion Tennis Courts at Royal Lake Club, Kuala Lumpur (January 2010). 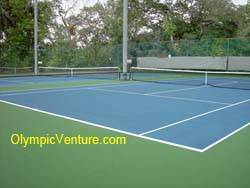 2 Rubberized Cushion Tennis Courts. Another view of Rubberized Cushioned Tennis Courts. Installed 4 rubberized tennis courts for Institut Pendidikan Guru M'sia in Jitra, Kedah (January 2010). Installed 1 futsal coating system in Felcra, Kota Tinggi, Johor (January 2010).